Please come along if you can make it! 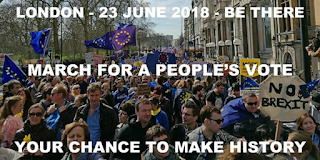 A bus has been arranged by the European Movement to take people from Romsey/Winchester to London on 23 June for the march - if you would like to travel by bus, book now! Winchester Please see the event details on Facebook! Please see the event details on Facebook!